CHICAGO – “Limitless” is a fun, clever riff on the timeless tale of a man who wanted the world but didn’t know the price. From Faust to Icarus to “The Lawnmower Man,” we’ve long been fascinated with the idea that not only is it possible to have it all but that those who do will pay greatly for the privilege. With the best work of Bradley Cooper’s career, stylish direction, and clever storytelling, “Limitless” is a great rental, now available on Blu-ray, DVD, iTunes, and wherever else you like to download new releases. CHICAGO – If you’re not easily susceptible to vertigo and can survive the intro cut scene, “Limitless” proceeds to treat you to one part thrill ride and one part exercise in ridiculousness. CHICAGO – The minute I saw “Pushing Daisies,” one of the very first notes I took while watching the pilot was “this is never going to last”. It was great, but it was also too quirky, strange, romantic, and hard to put into a definable box, making it unlikely to find an audience. Now that the second-and-final season of “Pushing Daisies” is on DVD, we can look back and see the beauty of the brief time we had with this great show and wonder what might have been. CHICAGO – “Land of the Lost,” starring Will Ferrell, Danny McBride, and Anna Friel, is horribly conceived, almost entirely laugh-free, and with absolutely no personality of its own. It’s one of the most inert, dull, and dead-on-arrival major summer films in a very long time with no target audience likely to be satisfied by it. 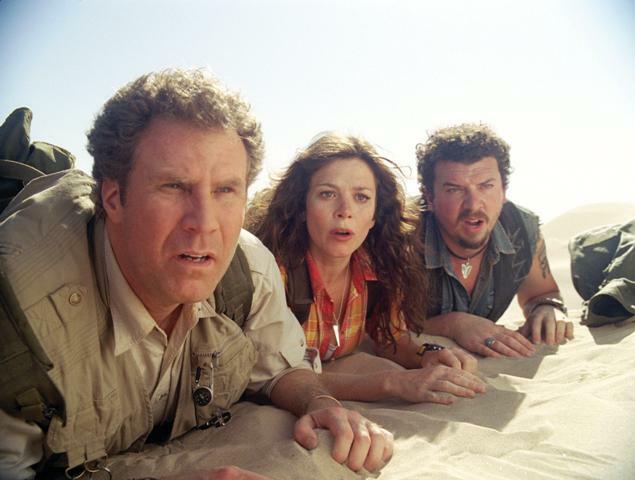 (L to R) Has-been scientist Dr. Rick Marshall (Will Ferrell), research assistant Holly (Anna Friel) and redneck survivalist Will (Danny McBride) arrive at a place of spectacular sights and super-scaled comedy known as the Land of the Lost. CHICAGO – This 34-image slideshow contains the official press images for “Land of the Lost starring Will Ferrell, Danny McBride, Jorma Taccone, and Anna Friel. The film, written by Chris Henchy & Dennis McNicholas and directed by Brad Silberling, opens on June 5th, 2009.